Looking to book a gourmet escape in 2018? Let these exceptional destinations tempt you. With kitchens led by Michelin-starred chefs, inspiring cooking courses, and an abundance of fresh local produce—not to mention stunning locations that are perfect for gatherings large and small—there’s a place for every taste. 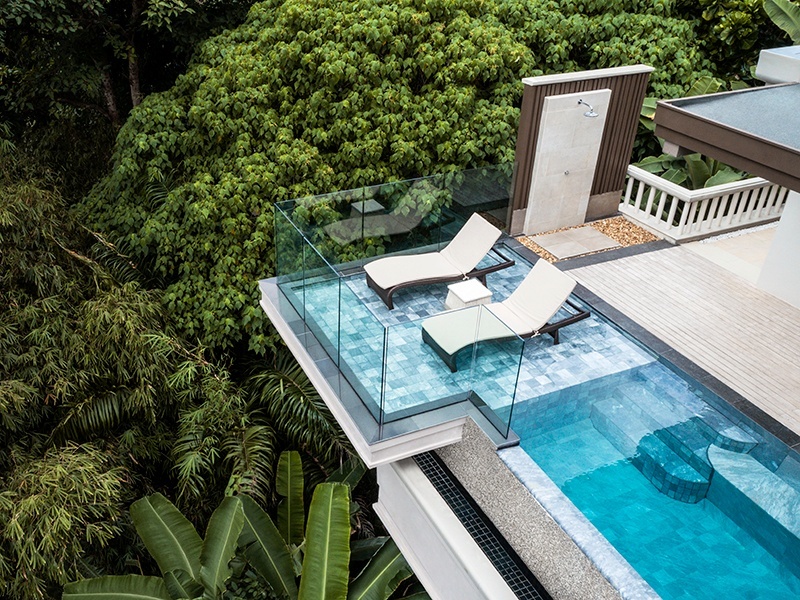 It’s testament to the skill of the resort’s design team that each of the 48 villas and residences at Trisara, on the Thai island of Phuket, combines unspoiled views of the Andaman Sea with a lush garden setting that offers utter privacy. 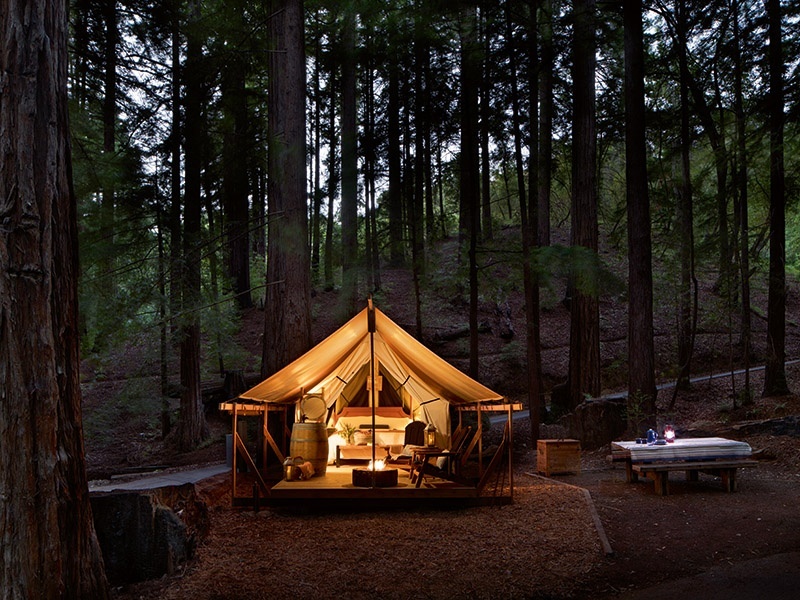 Fringed by more than a mile of private beach, an artfully managed canopy of old-growth trees and plants surrounds the accommodations, as well as two restaurants, a spa, gym, tennis courts, and Muay Thai boxing ring. Terracotta-tiled roofs peek out of the greenery, mimicking the temples of northern Thailand. For a group getaway, the private pool residences with up to seven bedrooms tick all the boxes. Supremely elegant, they feature neutral colors, luxe fabrics, local art and handcrafted furnishings, and a deck where a personal chef can prepare a pool-side barbecue. 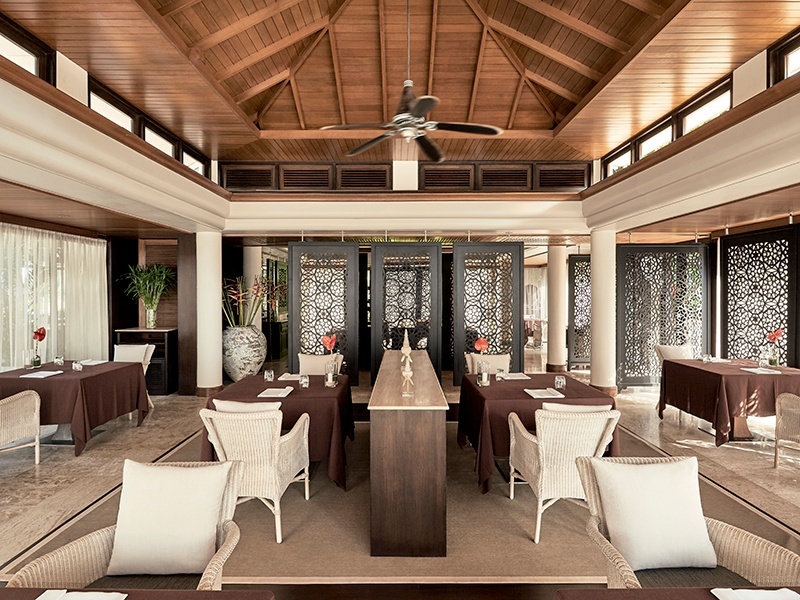 Food is a big deal here, and along with the traditional Thai flavors and dishes at Seafood at Trisara—where you can also take part in a cooking class—the fine-dining Pru restaurant elevates farm-to-table cuisine with fresh ingredients grown at the resort’s own farm, as well as fish caught that morning. On Sundays, Trisara hosts a popular Jazz Brunch, where the beachfront bar becomes a celebration of wines, tapas, live cooking stations, and an array of tempting desserts, accompanied by a host of jazz bands. This very special slice of heaven along Phuket’s less-developed northwest coast might be the best on the island. With unrivaled views over California’s Pacific coastland, Ventana Big Sur, upstate from San Luis Obispo County, recently reopened its doors after a multimillion-dollar “reimagination.” The 160-acre enclave now offers 59 guest rooms and suites, each with a large balcony or deck, a standalone 722-square-foot Cottage House, and 15 safari-style canvas tents, tucked away in a secluded 20-acre canyon. The resort also features a new spa, two outdoor pools (one of which is clothing-optional), and the Sur House restaurant, led by executive chef Paul Corsentino, where Pacific-sourced seafood and free-range meats from local farmers take center stage. As you approach the grand, pink, Belle Epoque façade of Portugal’s Vidago Palace, a liveried member of staff comes down the steps to meet you, setting the tone for a visit that formal yet relaxed and welcoming. Commissioned by King Carlos I, the Vidago opened as a hotel in 1910. 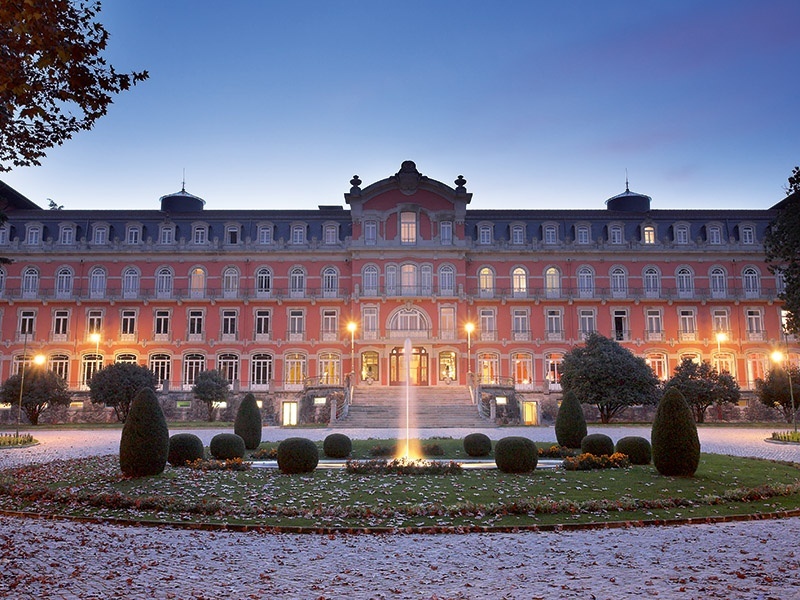 Today, tucked away in the Trás-os-Montes region of northern Portugal and an hour away from Porto, it’s a year-round retreat for foodies and spa lovers alike, with its 70 rooms and suites retaining elegant period features, while also feeling modern and inviting. Guests can choose from six restaurants and bars—including the casual Club House and the recently opened Wine Cellar, which serves Portuguese tapas. Another recent arrival is acclaimed chef Vitor Matos, who, in the Grand Ballroom, will showcase the best produce northern Portugal has to offer. There’s an impressive wine list, too, with plenty of Portuguese options. But to truly experience the best of this country’s wine, the hotel can arrange a visit to the nearby Douro Valley, where guests will learn about wine and port production and enjoy a private tasting. The town of Vidago is known for its natural springs, with its waters said to have healing properties; sample these in an ornate pavilion in the hotel’s grounds, or in its modern spa wing, designed by Pritzker Prize-winning architect Alvaro Siza Vieira. The grounds boast 100-year-old trees, huge magnolias, and four thermal springs (two of them still active), all spread over some 250 acres of parkland waiting to be explored. 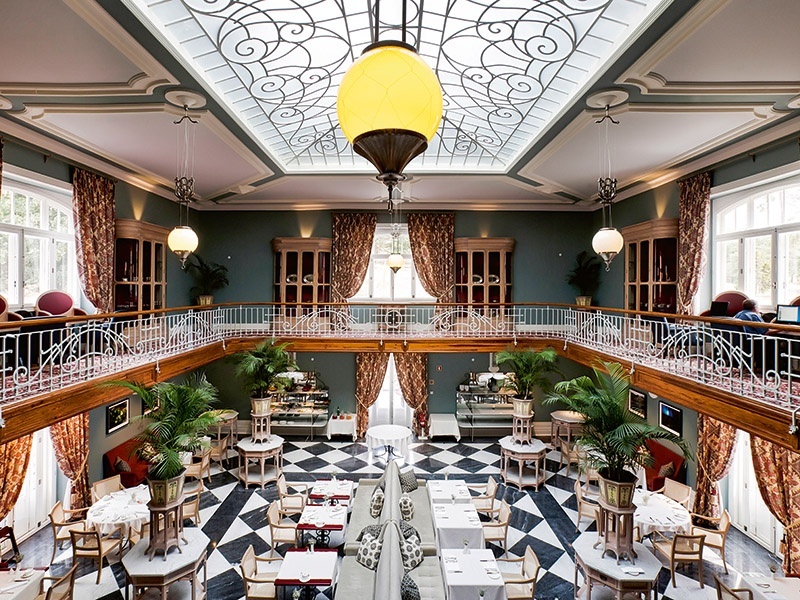 For travelers seeking the grace and heart of Georgian Dublin, The Merrion delivers. Converted from four adjoining townhouses beside the magic-lantern doorways of Merrion Square—once home to Oscar Wilde and WB Yeats—The Merrion enfolds you in sumptuous traditional interiors and five-star Irish hospitality. It also brightens the eyes. Home to one of the largest private art collections in Europe, the hotel is filled with visual delights, though few are Georgian. “Homes are ‘living’ things,” explain hotel owners Lochlann and Brenda Quinn in The Merrion’s own catalog of its collection. And so the magnificent drawing room showcases works by modern Irish artists such as Sean Scully and William Scott. This theme is woven, too, into The Merrion’s celebrated Art Tea, which features intricate pastry work by chef Paul Kelly, whose creations cleverly reference the artwork on the walls in miniature bites. 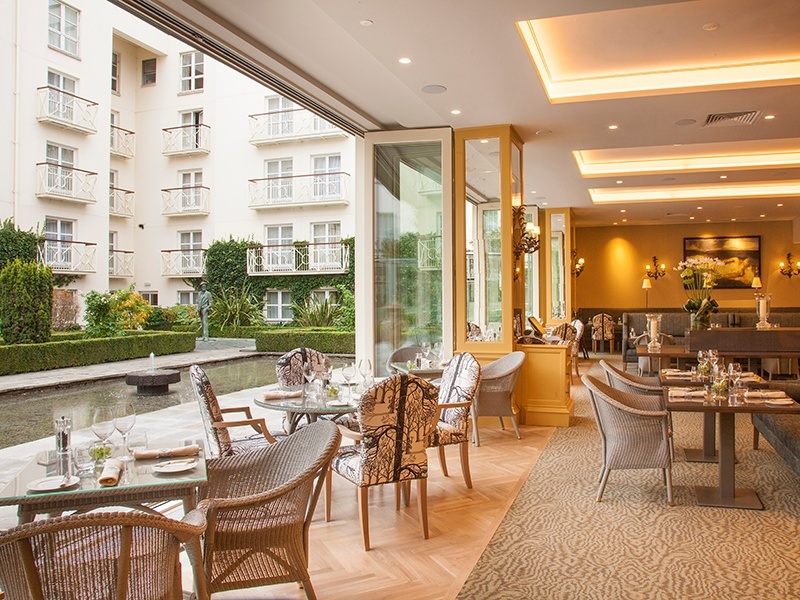 The hotel’s newly constructed Garden Room restaurant, which opens onto murmuring fountains when the weather is fine, serves an all-day menu from chef Ed Cooney, who combines high-quality ingredients from local artisan suppliers with his own Irish authenticity. Forget foams and froths: here’s a squeakingly fresh Dublin Bay prawn atop an ice-bright fillet of halibut in a clean tomato consommé. Surprising snacks of smoked-carrot “cigars” and Liscannnor crab sliders. 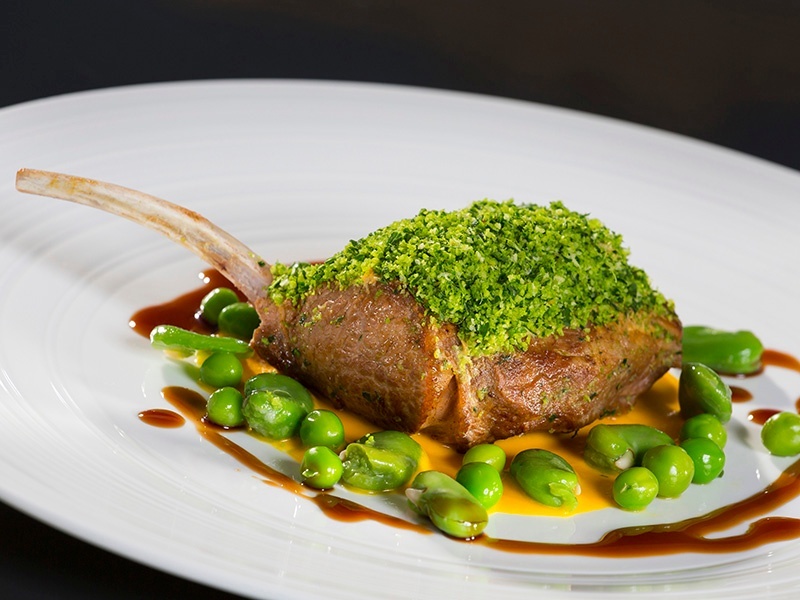 And, unsurprisingly, elegant interpretations of brasserie-style classics, a seriously impressive wine list, Irish cheeses, and desserts to tempt. “Right now in Ireland, we’re beginning to create a food culture for ourselves,” says Cooney, who 20 years ago would import ingredients from London and France. Today, The Merrion makes its own chocolate with a company in Paris and wherever possible sources everything else locally. “Even the balsamic vinegar I use is made at an apple orchard in Lusk [14 miles from Dublin city center].” This is up-to-the-minute cuisine—generous and warm, like Dublin itself. If you like a view with your hotel room, book into the newly minted Le Relais de Chambord, deep in France’s Loire Valley and a two-hour drive from Paris. 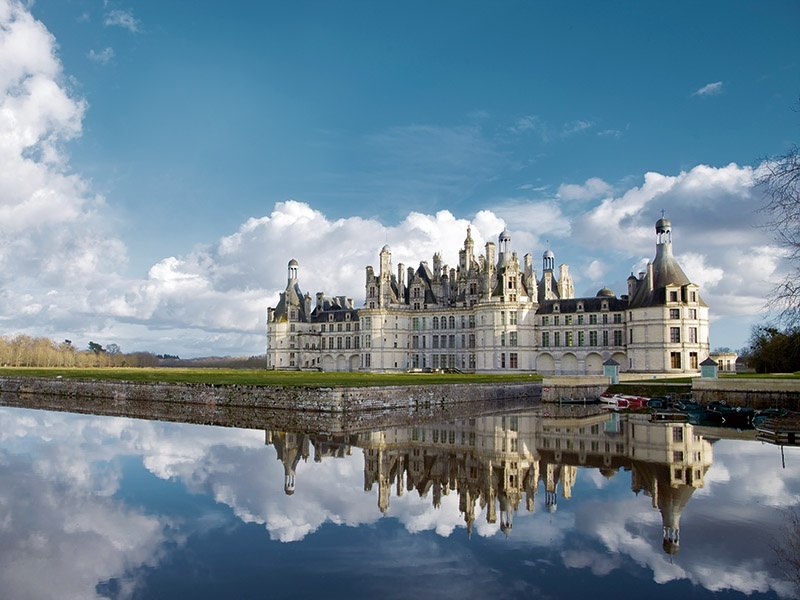 Set on the Domaine de Chambord, a UNESCO World Heritage Site, and with the estate’s château as a fairy-tale backdrop, the formal royal hunting estate opens as a hotel in spring, offering upscale accommodation designed by Jean-Michel Wilmotte, a bijou spa, and a casual fine-dining restaurant, Le Grand Saint Michel.